The Freckled Shamrock: I Love a "Fantasy" Parade, Don't You? 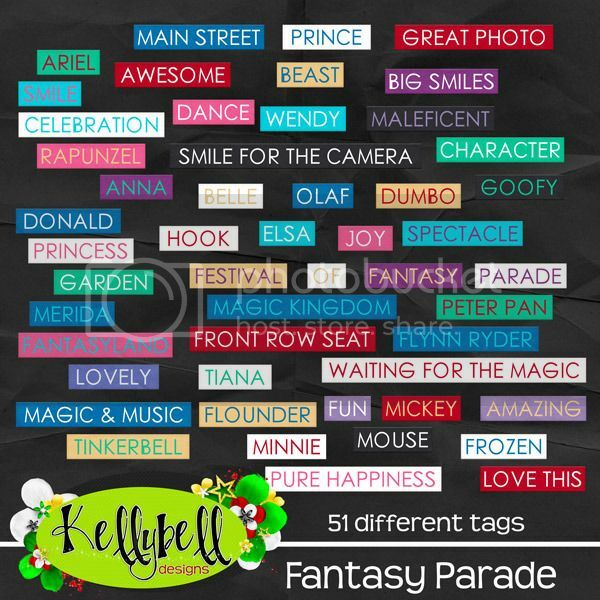 Inside this kit you'll find a colorful set of 15 papers along with elements like a hot air balloon, flairs, banners, camera, mouse ear balloons, hearts, crown, cloud, musical notes, Maleficent dragon, flowers, ribbons, stars, sprays, buttons and more. These page starters are such a burst of colors. All expertly clustered and ready to place on your layouts. There's also a pack of 6 cool journal cards. How about a pack of 51 journal tags? These are perfect for adding a little accent under a photo or next to a cluster. Take a look at these gorgeous word art titles. Need more pocket style templates? 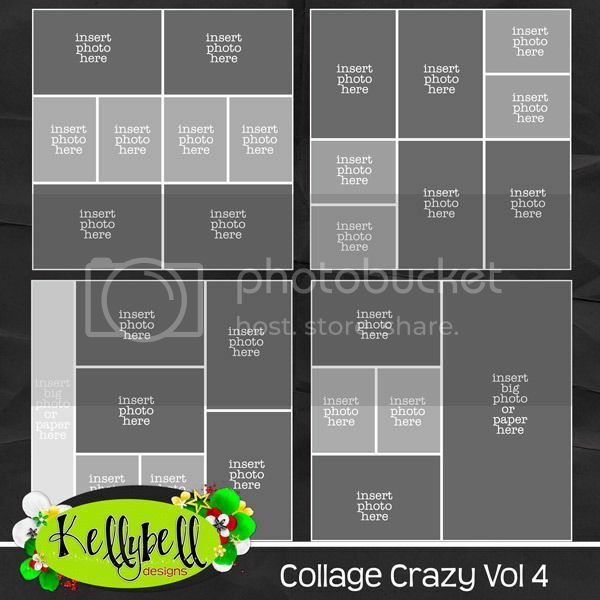 Kelly's got a new set in the Collage Crazy collection. These templates offer lots of places to pop in a photo or journal card. All of Kelly's templates are versatile and are available with PSD, TIFF, PAGE and PNG formats. You can find this wonderful collection inside the Kellybell Designs Store. The packs will be priced at 25% off this weekend only so hurry and grab them now! You're gonna love scrapping with this new collection. The colors just reach out and grab you! You can view all the CT layouts at Kelly's Blog or Kelly's Facebook Page. Here's a page that I made. 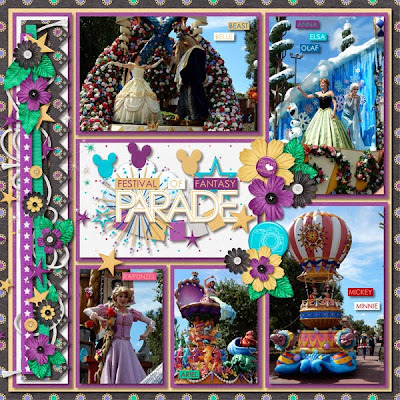 The end of the parade is always a bummer. But the end of this blog post is a fun thing! It's where you'll find 3 matching freebies for this parade collection. Here's where you'll need to go to find them. Give the gals a hug along the way and have a wonderful weekend!